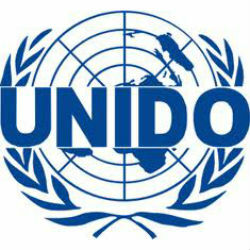 The Ministry of Industry and Trade of the Government of Tanzania and the United Nation Industrial Development Organization – UNIDO presented in Dar es Salaam the 2012 Tanzania Industrial Competiveness Report – TICR. TICR is a product of a partnership between UNIDO and the Government of Tanzania in the context of the United Nations Development Assistance Plan 2011-2015. Despite the past and current efforts to boost industrialization in Tanzania, manufacturing still accounts for less than 10% of national GDP making Tanzania one of the least industrialized countries in the world. The report presents a quantitative assessment of the performances of the manufacturing sector in Tanzania highlights the challenges and opportunities for Tanzanian industries and proposes and number of high priority and practical industrial policy recommendations. The areas of policies focus highlighted in the report include: the effect of regional integration on Tanzanian industry and the challenges ahead, the domestic and international opportunities that emerged in the new global market for manufacturers, the key role of modern skills for industrial development and the likely “quick-win” scenario of a resource-based industrialization process.